If you're looking for a distraction, then videogames are just the ticket. But when it comes to more practical lessons, Jenova Chen thinks you might be better off looking elsewhere. 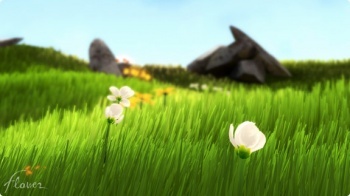 Flower creator and head of thatgamecompay, Jenova Chen, doesn't hate action games - quite the opposite in fact - but he isn't convinced that playing them online really teaches people anything useful. Speaking to the Official PlayStation Blog, Chen said that as he has gotten older, he started to see that games could be a lot more relevant than they currently are. Chen said that while pulling off an infinite hit combo was fun, it wasn't an especially useful skill. Online gaming couldn't compare to games like chess or poker, he added, which taught players skills like strategic thinking and deception. He thought that in a lot of cases, the design of online games was quite basic - around the same level as schoolyard games - and the only real abilities required were accuracy, manual dexterity, or a tolerance for grinding. Making online gaming more relevant, he said, would take a complete redesign from the ground up, with a much greater emphasis placed on social interaction. Chen stressed that he wasn't saying there was anything wrong with action games, however, and said that they were important to the industry. He just felt that people didn't have an endless supply of free time so it was important that their entertainment be relevant on some level - be that social, intellectual or emotional.